Is there any way that I can turn some of the text inside the form to bold? 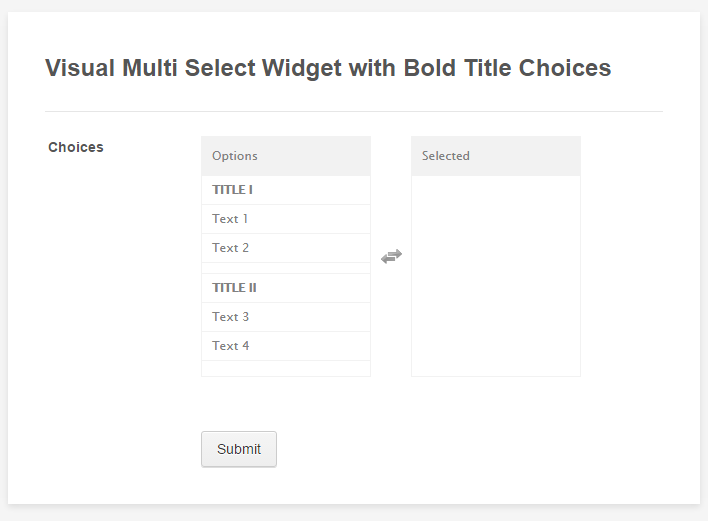 If I understand you correctly you mean you want to make some text in the Visual Mutliselect Widget on your form bold for two of the titles based on your example. 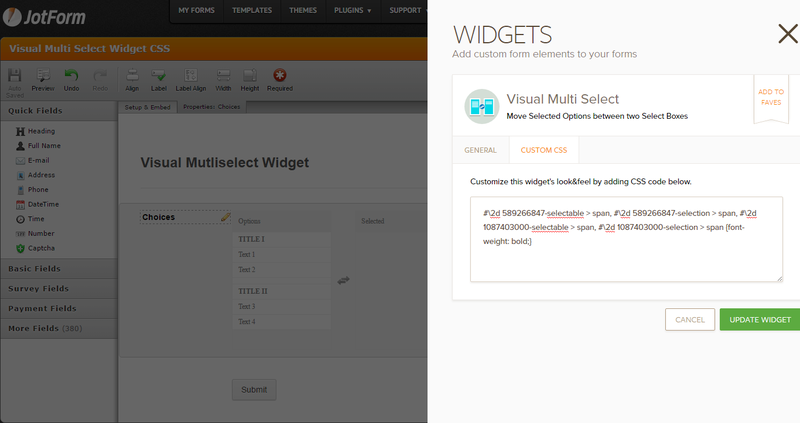 That widget does support css so please allow us some time to try to get something going to assist you with achieving it and we will update you again briefly. Thank you for your patience and I do sincerely apologize about the delayed response. For example, I want the word "CÂMERA" bold. What I am doing wrong? I do apologize about that inconvenience and I think that's probably because your form's widget may have a different css id, class, and selector so that's probably why it didn't work. You'll have to do the same for the rest but if you need more help with this then just let us know.